The Board Shape defines the shape of the finished board. The board shape, also referred to as the board outline, is a closed polygon that defines the boundary, or extents, of the board. As well as providing a visual guideline of the extents of the space available for the placement and routing of the design, the board shape is also used by the internal power planes as the reference for the power plane edge pullback and the edge for splitting power planes. The board shape is available only in the PCB editor. 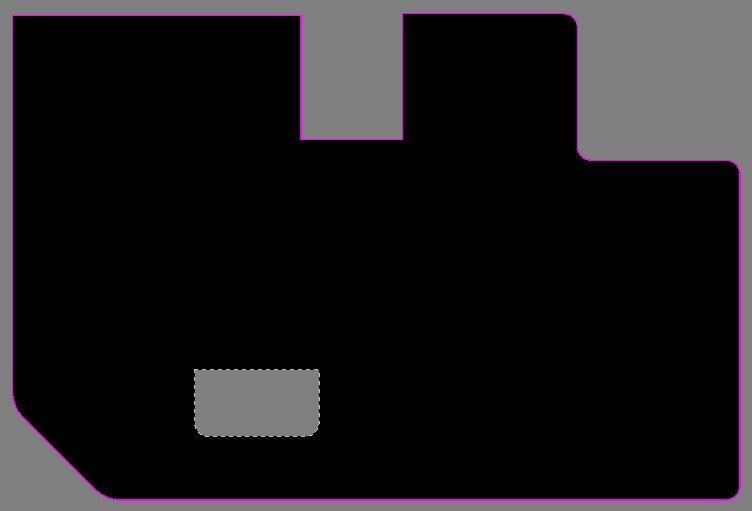 When a new PCB file is created it opens with a default 6 inch by 4 inch board shape.There are a number of ways this shape can be replaced or altered. Redefine Board Shape - select this command to interactively draw a new shape. Move Board Vertices - select this command to interactively modify the shape of the board by moving vertices or sliding the edges of the shape. Position the cursor and click to anchor the starting vertex for the board shape. After placing the final vertex, right-click or press Esc to close and complete the definition of the board shape. There is no need to manually close the board shape as the software will automatically complete the shape by connecting the start point to the final point placed. 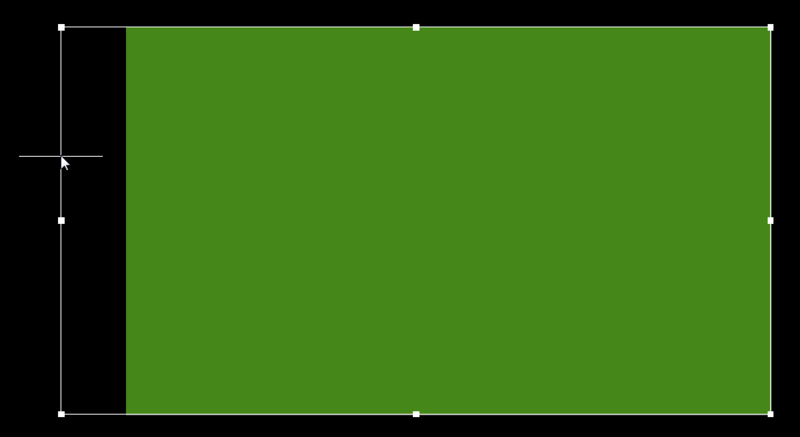 After launching the Move Board Vertices command the existing board shape will go green, the polygonal outline of the existing shape will be displayed with a vertex at each corner and the center of each edge, and the cursor will change to a crosshair. Sliding the edge of the Board Shape to enlarge it. Click and drag on a vertex to move that vertex. Note that doing this on a vertex that is in the middle of an edge will turn that single edge into 2 edges. Click and hold on a vertex, then press Delete to remove that vertex. Click and drag on an edge (away from a vertex) to move that edge of the board shape. Right-click or Esc to exit this editing mode. Click the available on the Ribbon at Home | Board | Board Cutout. Note that the cutout is actually a Solid Region object configured to be a negative object, to learn more about placing this type of object, refer to the Solid Region object. A Board Cutout has been placed on the Board Shape. The board shape is not used for output generation, it is only the placed objects that are used.